When he was just six years old, Willie was diagnosed with glaucoma and ultimately lost his sight. But he never let that get him down. Willie continued play with friends, go to school, and make the world around him a more beautiful place. When he got a job with Mile High United Way’s 2-1-1 Help Center, he knew that he had found his true calling. “This job at 2-1-1 was something I was born to do,” says Willie. Mile High United Way’s 2-1-1 is a free, confidential, multi-lingual service that helps callers navigate through their situation by assessing their needs and then matching them with the best and closest resources in their community. Last year alone, 2-1-1 Resource Navigators received nearly 80,000 calls from people around Colorado seeking help with nowhere else to turn. When an unexpected expense of $400 can move a family from self-sufficiency to financial emergency, 2-1-1’s services can provide immediate relief from the stress of instability. Each day in his role as a Resource Navigator, Willie is able to comb through 2-1-1’s database of over 8,300 services in Colorado to connect people with the resources they need to help them get back on their feet. He never lets his visual impairment slow him down and strives to make every day count. “Even if I can make people smile, I know their day will be a little bit brighter,” says Willie. 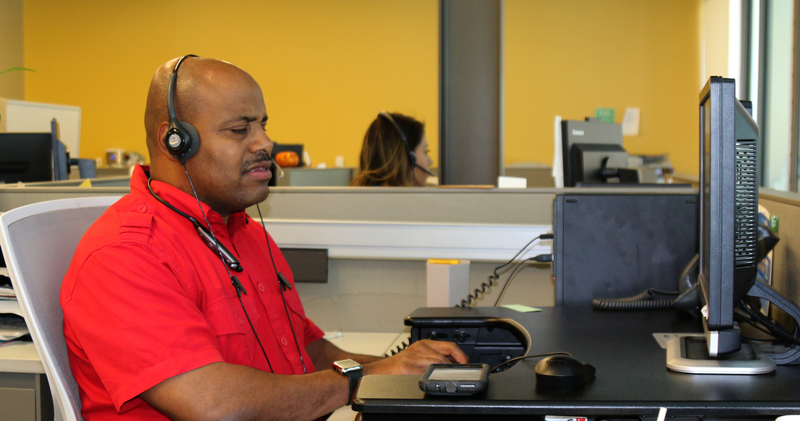 Together with the other Resource Navigators at Mile High United Way’s 2-1-1 Help Center, Willie is committed to ensuring that every person in our community gets the help they need, when they need it. “When I see people who are in tough situations, I feel responsible to be their navigator. To find them help and to give them hope. I love helping people,” says Willie. Watch Willie’s story on YouTube.